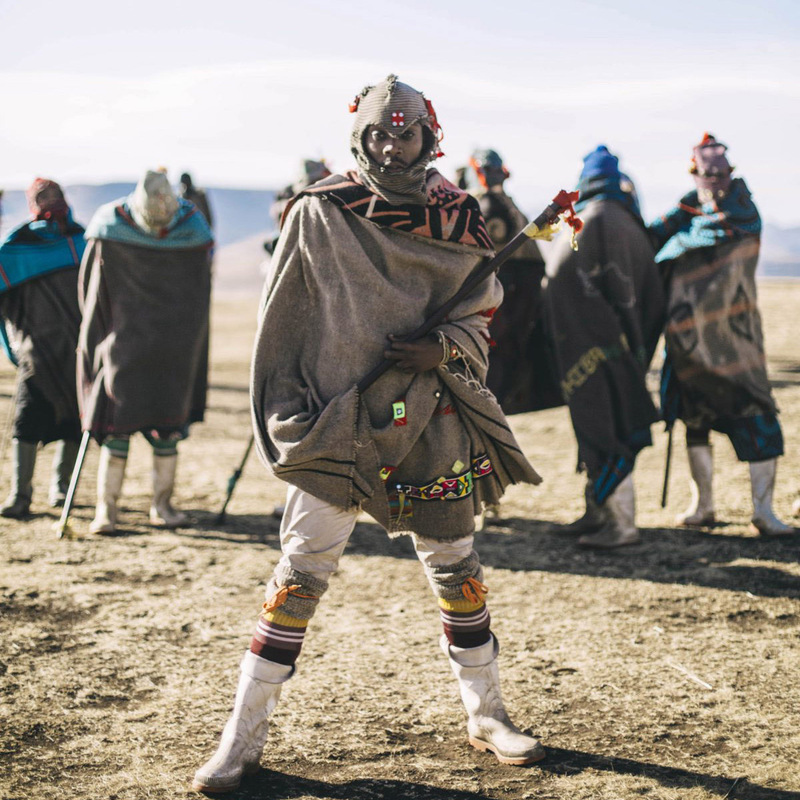 Morena Leraba is a shepherd from the mountains of Lesotho who fuses his homegrown traditional Famo inspired vocals with electronic dance, reggae and hip-hop. Meshing cultures and sounds from far and wide to create a truly unique sonic experience through collaborations with producers from across the world, forming a new sound we’re calling “Famo Electro”. The live band brings together an all-star lineup of musicians from Lesotho and South Africa, featuring renowned percussionist Mpho Molikeng, BLK JKS bass player Molefi Makananise and Vox Portent on live production.